The Florida Department of Highway Safety and Motor Vehicles (DHSMV) offers a convenient Online Appointment Service and Information System (OASIS). OASIS enables you to schedule an appointment for a variety of services at your local DHSMV office. Appointments for licenses and motor vehicle transactions are also available at some county locations. 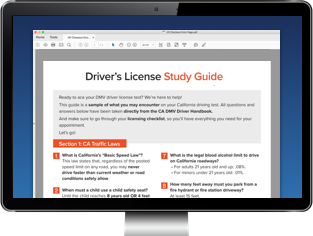 Don't forget that you can also use the online services provided by the state to complete many driver and vehicle-related tasks from the comfort of your own home. You can use OASIS to schedule appointments for the different types of office visits listed below. Written learner permit (CLP) exam. Pre-trip and skills behind-the-wheel test. Presenting documents to obtain license, after passing the learner permit test. Apply for FL I.D. card. Official name or address change. For most DHSMV office locations, you can use the Online Appointment Service and Information System (OASIS) to schedule an appointment for the services above. If the online system indicates you cannot make an appointment with OASIS, you'll need to call your local DHSMV office to set up your next visit. To ensure you'll only have to make a single trip, make sure you have all of the necessary material for your DHSMV appointment. We have some handy guides that outline everything you need to bring for visits regarding the appointment types listed below. Commercial driver's license written and road exams.